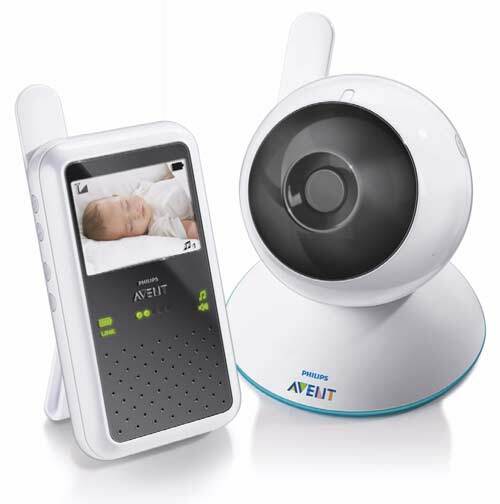 This is the summary of consumer reviews for Levana 32111 Jena Digital Baby Video Monitor with Talk to Baby Intercom. The BoolPool rating for this product is Very Good, with 4.30 stars, and the price range is $99.99. 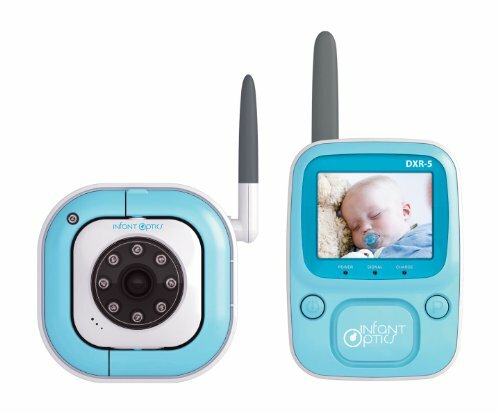 The Levana Jena Digital Baby Video Monitor gives the freedom of knowing that the baby is safe with a private and secure digital wireless, interference-free signal with an optimal range of 150 feet and a maximum transmission range of up to 500 feet. Built-in night vision automatically adjusts the camera to capture the clear images even in complete darkness from up to 15 feet away. 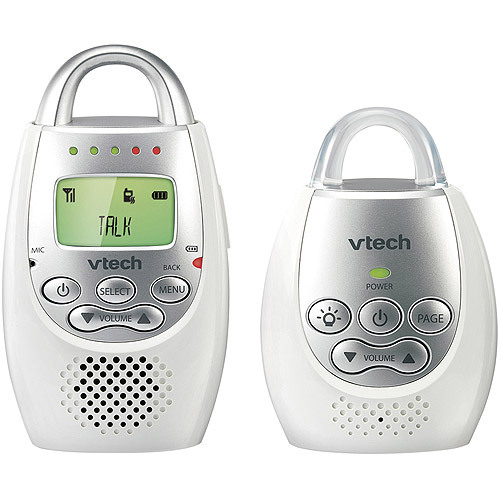 The two way talk to baby intercom feature comes in very handy to either comfort or calm the baby or call for a helping hand, giving peace of mind to both babies and parents. 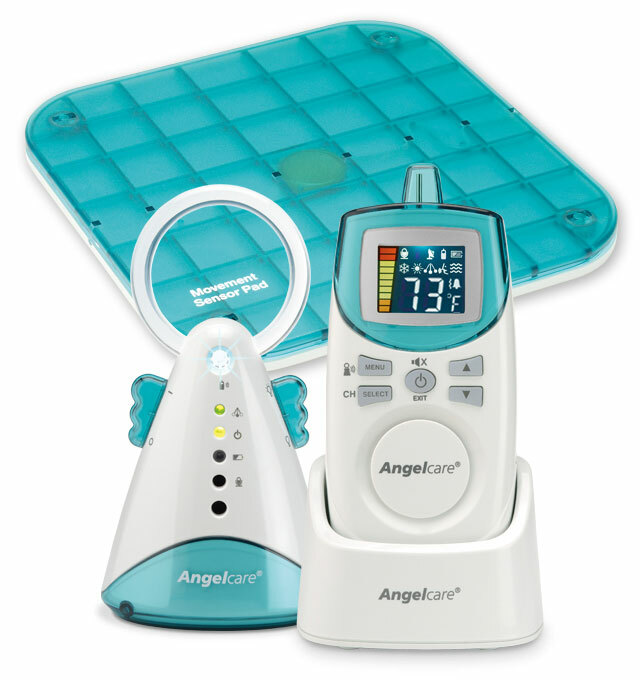 Jena includes a temperature monitor for the nursery room. 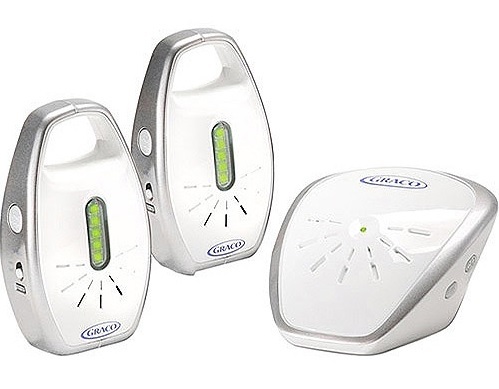 The night light on the camera is another good feature that can easily be accessed from the parent unit whenever needed to either sneak in and out of the nursery or using it as a night lamp in room. Jena includes a rechargeable lithium ion battery that can operate up to 8 hours with the video screen on and over 12 hours in PEEP (Power-on/off Energy Efficient Picture) mode without stopping to recharge. The PEEP mode sets the monitor screen to sleep when there is not sound, and activates the moment any sound is detected. The Jena Monitor comes with 5 lullabies that can be activated and changed from the parent unit, with the touch of a button, without returning to the nursery every time to control it. 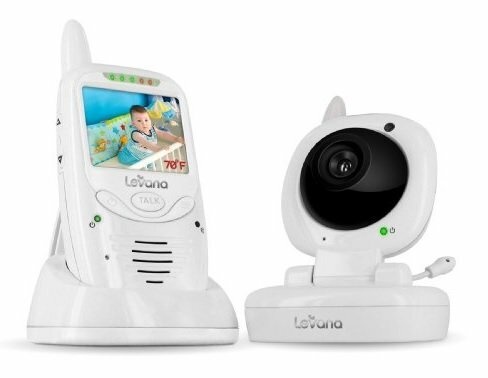 Overall, the Levana Jena Digital Baby Video Monitor is easy to use and is highly recommended by many parents and caretakers for its latest technologies and varied features. Known for long-lasting, rechargeable battery life, Jena can be expanded by adding up 3 more cameras for a safer and larger monitoring area. The battery life is awesome and the picture is pretty clear. good picture and camera quality. Battery life is pretty good. Picture quality is decent, grainy if you look closely. The video quality is pretty good and like the lullaby themes. The range is awesome, too. if I get out of range it beeps to let me know but it seems to have pretty good range. built-in lullabies are a nice touch. very easy to setup, long range, good sound quality both ways, ok video quality. Sound quality is good, picture quality is ok. The night vision mode leaves a little to be desired. The picture quality is nice. 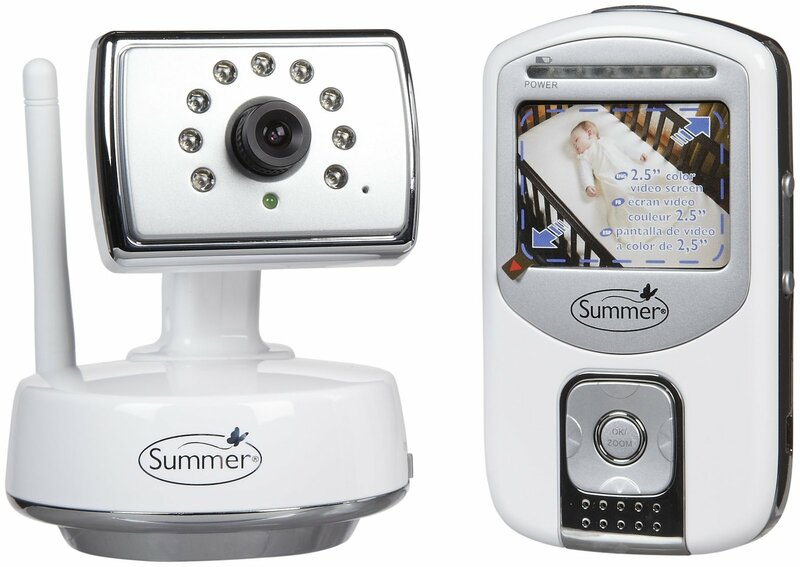 I like this baby video monitor.Picture and sound quality are very good.Everything as described.It includes features : the temperature-monitoring system and combination table stand and belt clip. The picture quality is great, an the sound sensitivity is perfect. I love the intercom feature because I can yell at him :) The sound quality is good. Haven't really used the lullaby feature. It's some cool features but the quality of the video is poor and the sound isn't very good neither. Great battery life, reasonable audio quality, and it's really nice to have a drop-in charger instead of plugging and unplugging the monitor all the time. This baby monitor works just as it claims to and has a nice clear picture. The picture and sound are crystal clear. No problems with picture or volume. Very good picture and audio. Great picture and battery life. The picture is absolutely clear and has impressed my whole family. Comparing to our old summerinfant this guy works pretty well. Further distances can be see but not as clearly (keep in mind that the night vision works with infrared lights so the picture will be black and white when in complete darkness). which means you constantly have to push a button to keep the picture up. The infrared camera works well, and the voice/noise activation feature helps a lot. Nice options for an affordable camera. 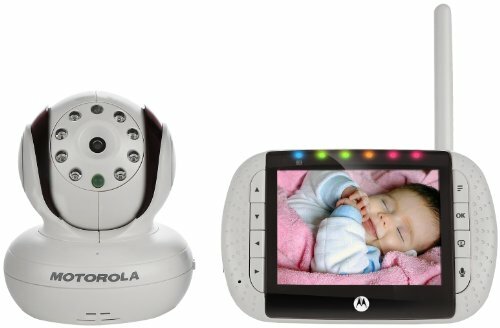 For $99.95 your receive a digital, secure video and sound monitor with a camera that's night vision, talk to baby intercom, voice activated control, plays 5 lullabies (which you can activate from the monitor), night light, room temperature monitor, etc. The unit just arrived at the house today. If he's playing in one room and I need to fold laundry in the other room it's easy to move the camera but once I save up enough pennies I?ll buy a second camera to just keep in that room. 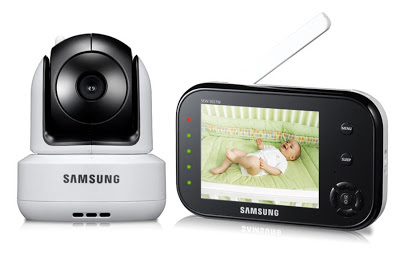 Just push a button on the base unit, and baby gets to hear a nice lullaby playing from the camera's speaker. This was our second Levana monitor, the first one the camera unit stopped working while plugged in. camera is great, night vision works great. Kid likes most of the tunes and camera works great. All the features seemed to work well.